Golovkin, whose first defeat comes in his 40th bout, left the ring immediately without conducting an interview as his rival – fighting for the first time since serving a six-month drugs ban – celebrated. “My corner told me I needed to win the final round and that’s what I did. 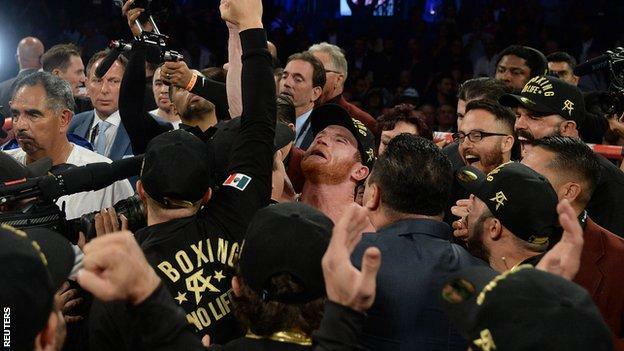 I’m very emotional,” said Alvarez, who has previously held world titles at middleweight and light-middleweight. 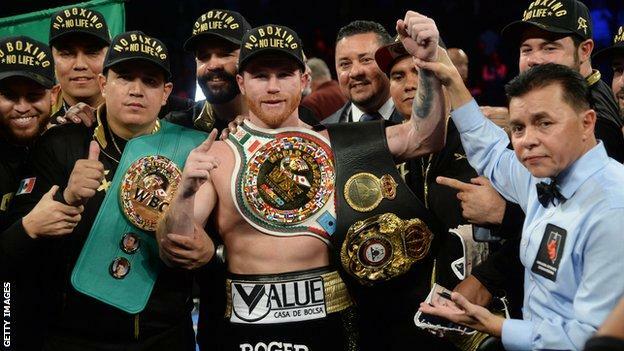 But with scoring already criticised in their first bout before Alvarez’s two failed doping tests in February, it is perhaps not surprising that once again controversy will remain attached to this rivalry, with demand for a third meeting almost guaranteed. Few could argue the hype surrounding their second meeting was not justified as the bout ebbed and flowed. Celebrities including actors Will Smith and Denzel Washington, and sports stars such as Mike Tyson and LeBron James, sat ringside as more than 21,000 inside the arena were taken in by a bout in which neither man looked like capitulating even when under solid attack. 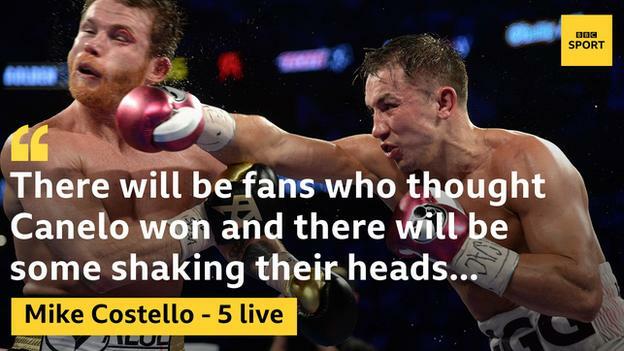 All four judges gave ‘Canelo’ four of the opening six rounds despite some of the more eye-catching work coming from Kazakhstan’s Golovkin, who landed a notable left hook in the fourth. 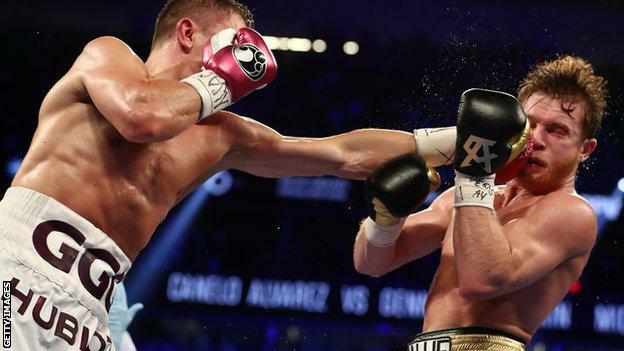 But Alvarez – who sustained a cut above his left eye which worsened as the bout developed – visibly began to close distance in order to nullify Golovkin’s jab. At times their heads were almost touching, bringing hooks and uppercuts into focus, and Golovkin sustained his own cut from a head collision. 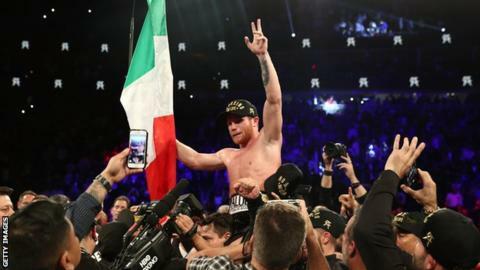 Alvarez, a man steeped in the art of fighting with six brothers who also hold professional boxing records, remained game in walking forward repeatedly, a contrast to his a largely back-foot performance last time. His mother was pictured praying at ringside after a ninth round which saw both men launch repeated attacks and Alvarez almost came unstuck in the 10th as a left hook to his jaw briefly rendered him limp, only for him to somehow quickly rediscover his poise. But his work up close perhaps won the judges over. Ringside stats showed Alvarez landed 46 body punches compared to six from his rival but after landing a right to the body and left to the face in the final round, he ate two uppercuts in the closing 10 seconds as both men responded to the noise around them. They embraced before each raising their hands but the cards prompted Mexican celebration on the country’s Independence weekend. In essence the judges were only one round adrift and that’s how close it was. Controversy will be generated. There are bound to be boxing fans out there who felt Canelo won and there will be loads of people shaking their heads. All judges were in agreement for the first six rounds, it was 4-2 at that stage and we ringside had it the other way around to Golovkin. There will be an awful lot of talk for the next few weeks and that is one upside for the sport. It wouldn’t have got this amount of talk had it not been a controversial result. If the third fight does happen, you would imagine it would happen back here in May next year.